‘The Palaces of Memory’ is a journey into India through the Indian Coffee Houses, a national network of worker-owned cafés which can be found in cities throughout the sub-continent. The Coffee Houses simultaneously speak of a Post-Independence optimism and a now-faded grandeur. Buried deep within the country's collective memory they have for decades acted simultaneously as political and artistic salons as well as simple eating places. 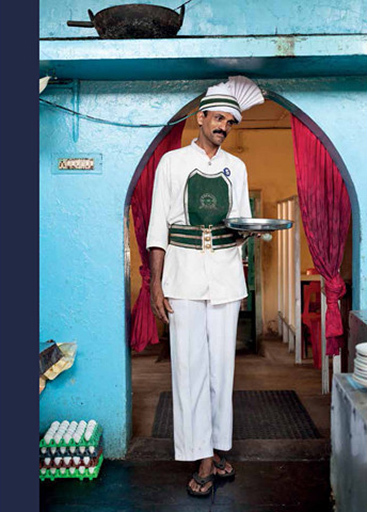 Stuart Freedman has visited more than thirty of the most significant and beautiful Coffee Houses throughout India. Away from the stereotypes of poverty and exotica they have allowed him to enter an ordinary India, a familiar but distant echo of the long disappeared greasy-spoon cafés of the London of his own youth. In that sense, the Coffee Houses have become a familiar sanctuary for him during his time in India.